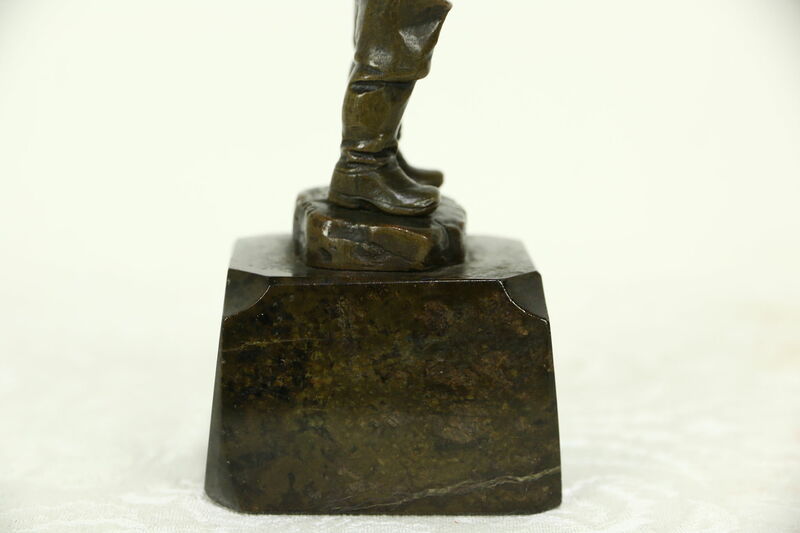 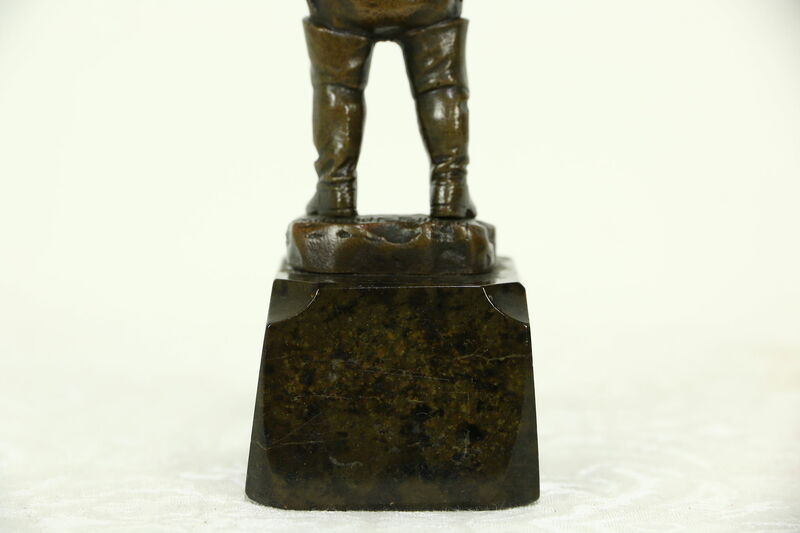 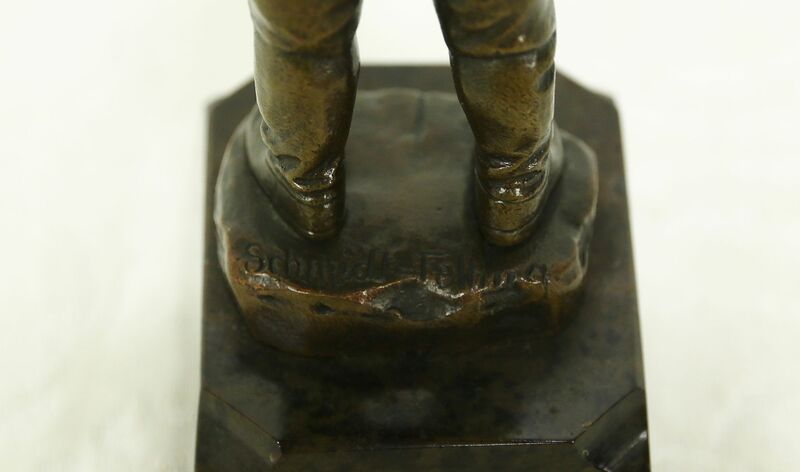 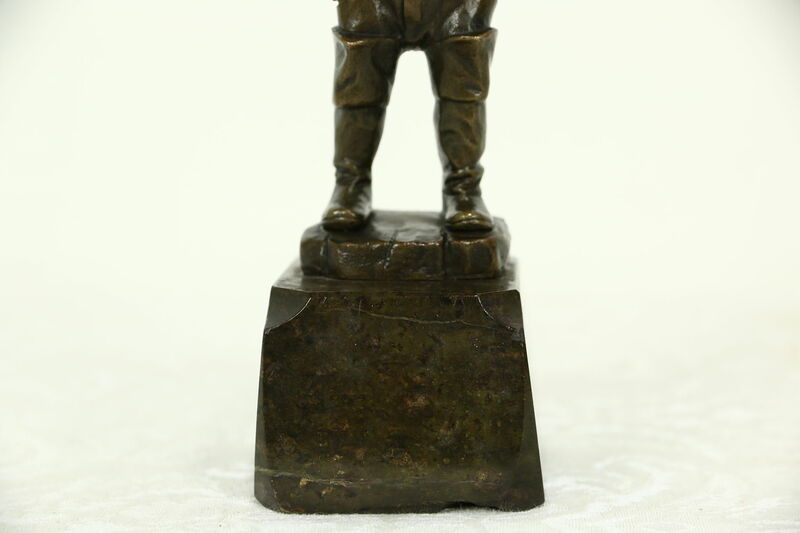 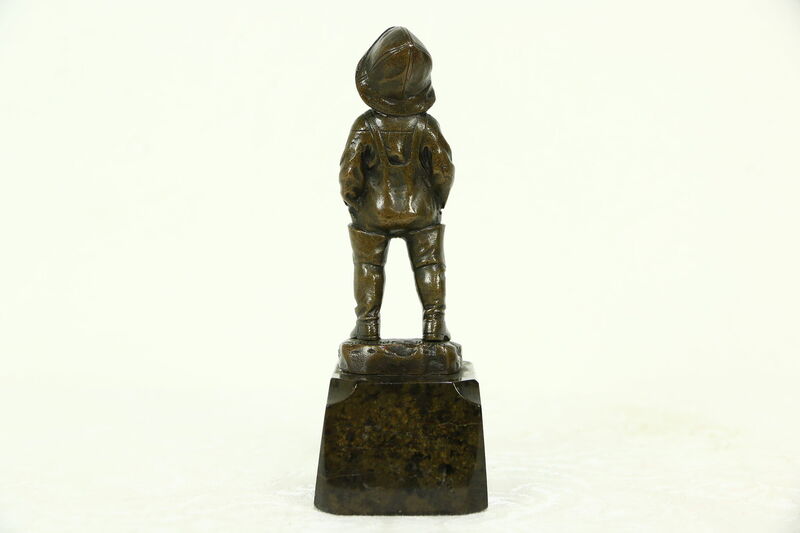 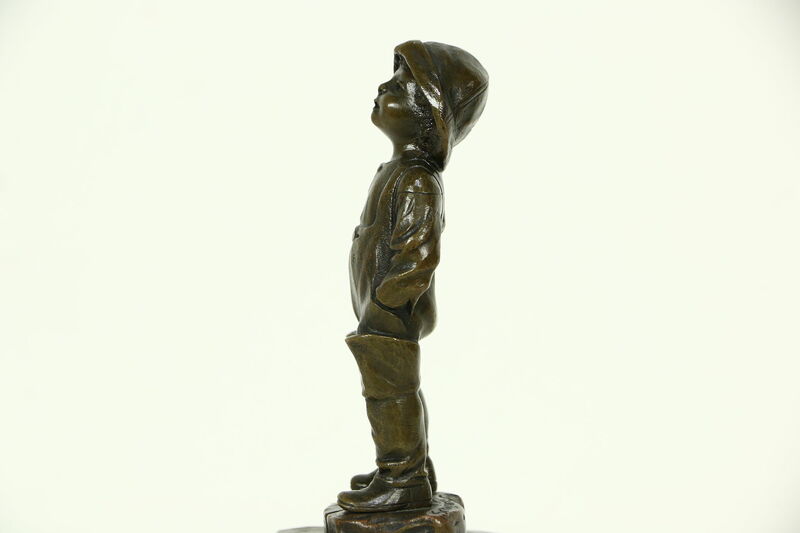 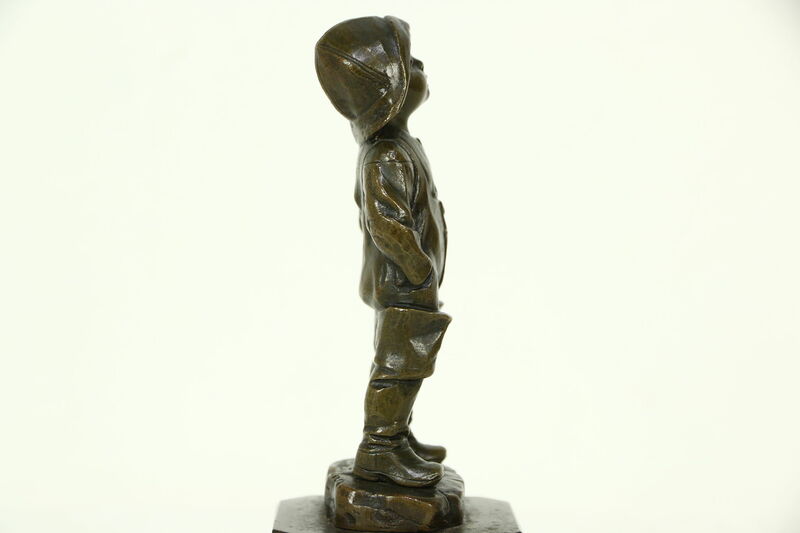 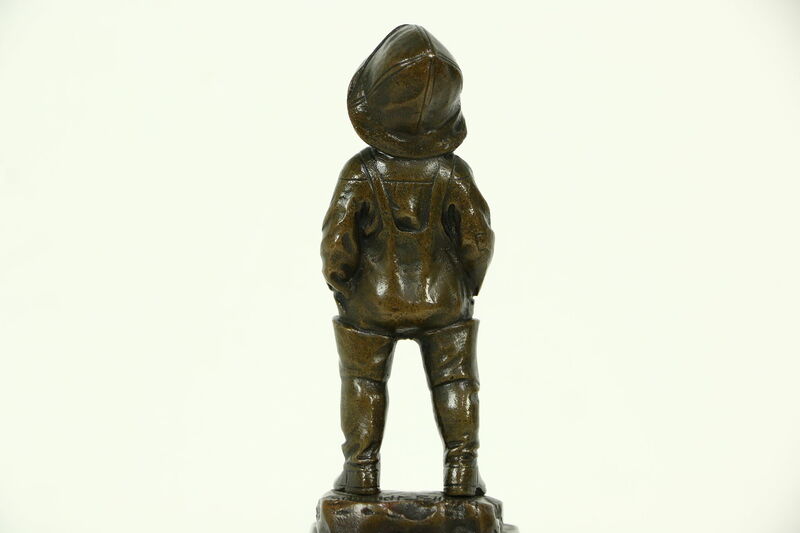 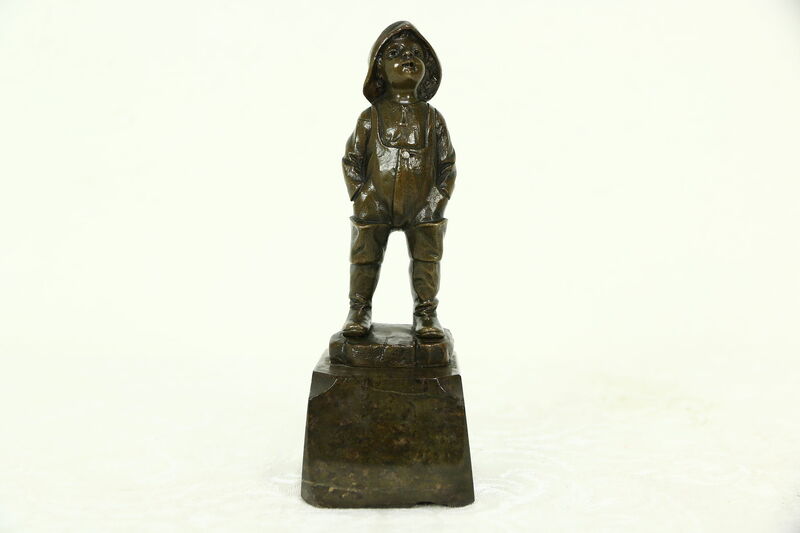 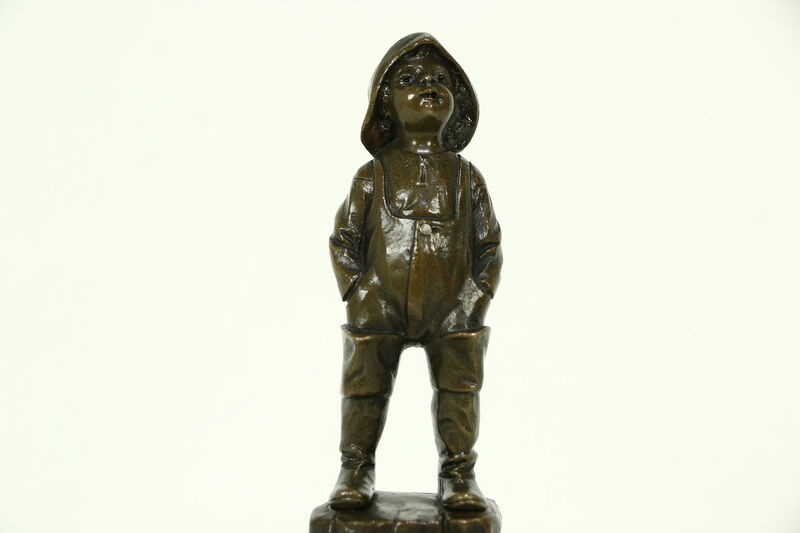 A charming bronze sculpture of a boy wearing a rain hat and boots has a marble base. 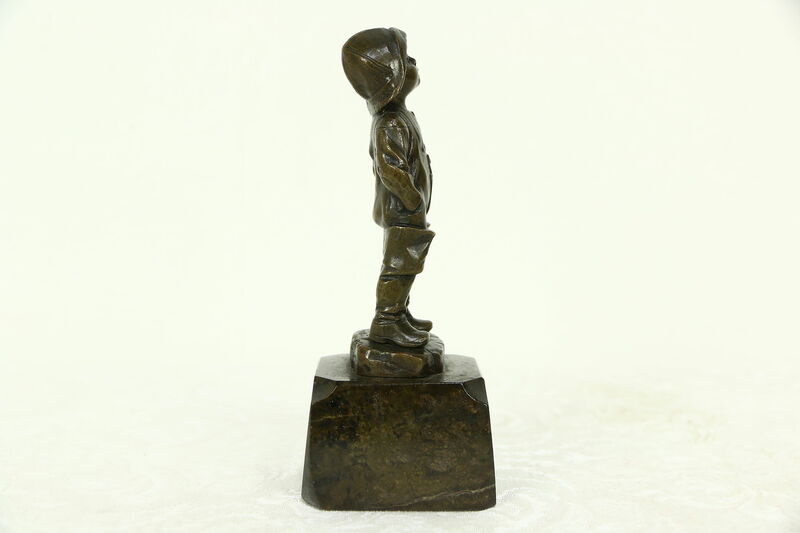 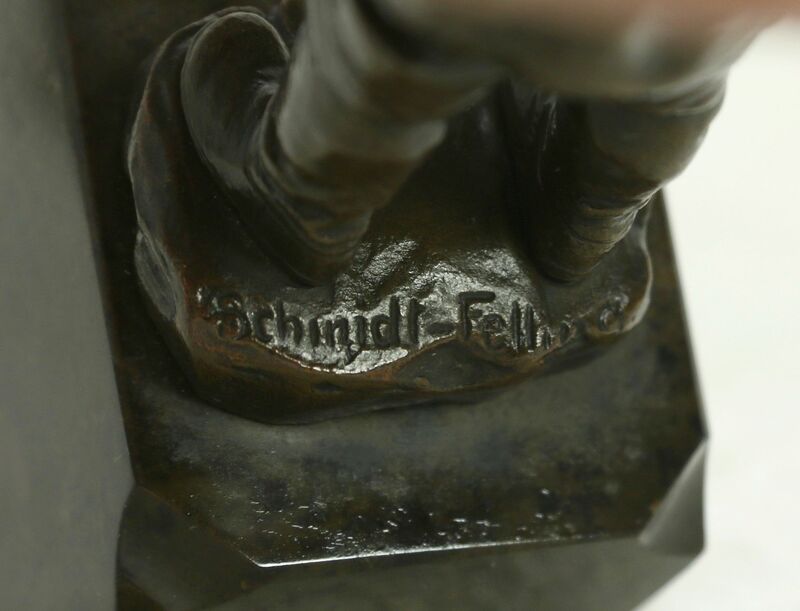 This antique statue has rich patina. 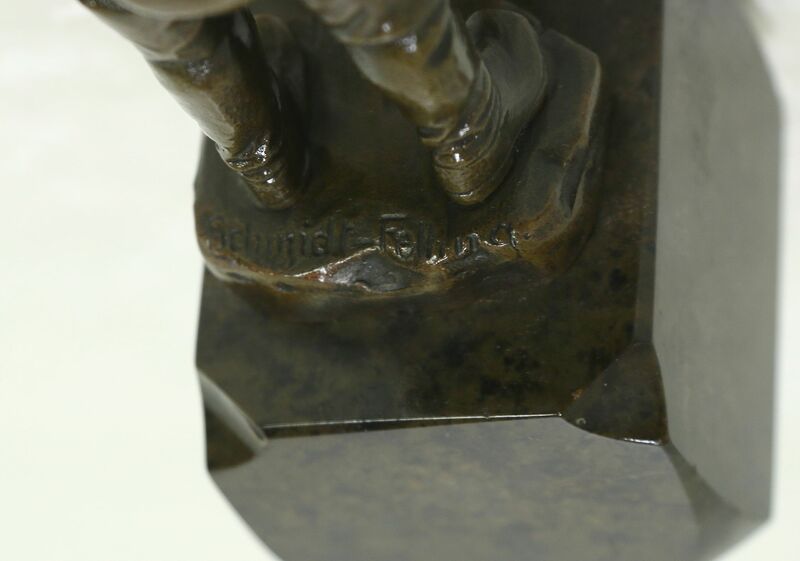 There is a chip to the marble pedestal, see photos. 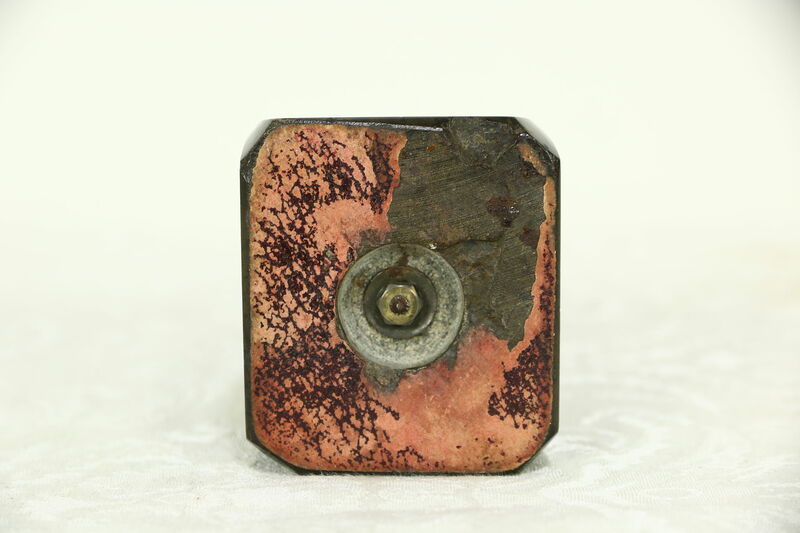 Size is 2" x 2 1/2" and 6" tall. 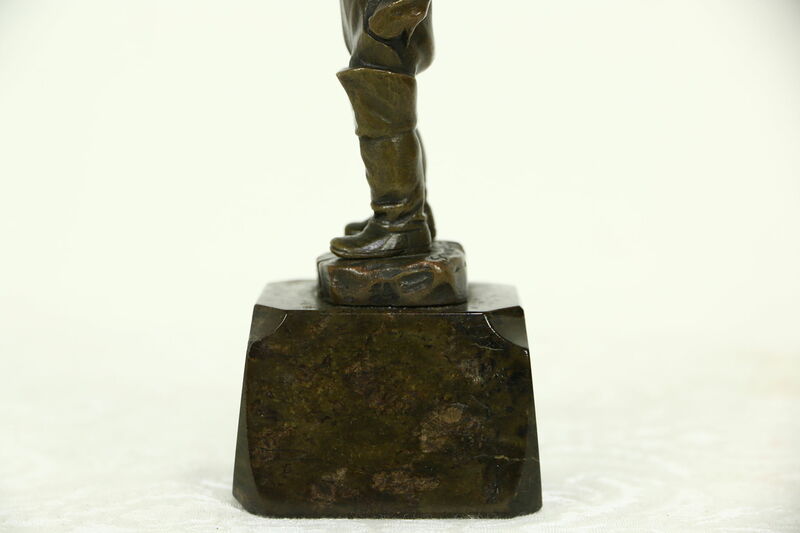 Please view 16 photos at full screen size for best detail. 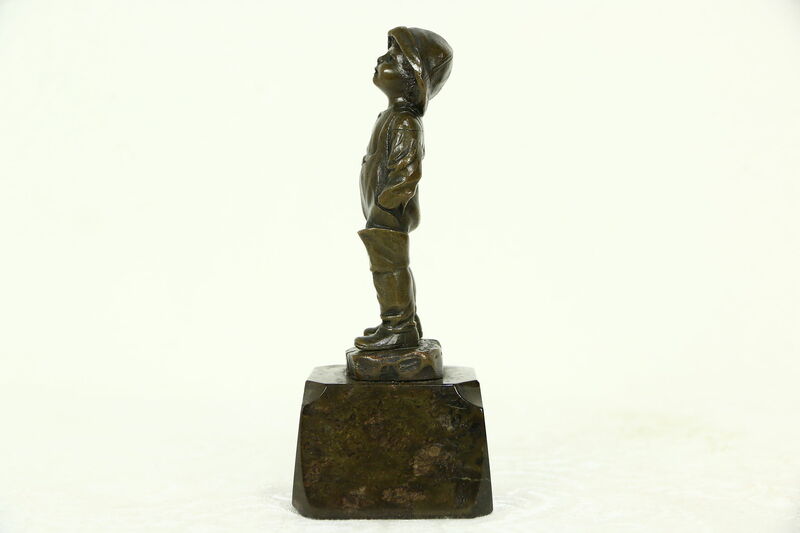 Shipping is $10 in the US.